Heidi Frei has a passion for protecting Michigan’s unique ecosystems and forest resources. 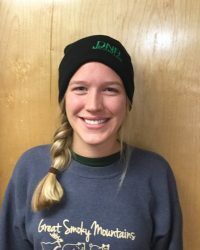 From training volunteers to pick aquatic invertebrates in streams, to planting trees and street tree inventories or invasive species removal, she enjoys connecting people with the natural environment and engaging them in restoration activities. She currently coordinates volunteer stewardship activities in high quality dunes, prairies and forests in twelve state parks and recreation areas in southwest Michigan. Heidi also serves as PRD’s forest health specialist and manages oak wilt control and forest health surveys in state parks and recreation areas. 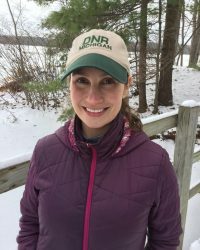 She leads DNR Parks and Recreation Division’s response to hemlock woolly adelgid control and survey and directs activity for the Michigan Civilian Conservation Corps Forest Health Crew. Heidi has a B.S. in Forest Conservation and a M.S. in Forestry with a focus on urban studies and Latin American and Caribbean studies, both from Michigan State University. Lauren Freckelton graduated with a bachelor’s degree in biology from Northern Michigan University. She is working on the Hemlock Woolly Adelgid Crew while pursuing a degree in nursing. 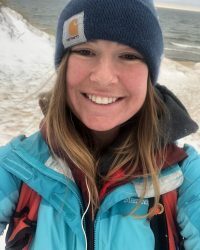 Emily Leslie graduated from Northern Michigan University with a bachelor’s in biology with an emphasis in ecology and a minor in sustainability. Following graduation, she joined The Nature Conservancy’s Dune Crew working in Sleeping Bear Dunes National Park to combat baby’s breath (Gypsophila paniculata). She realized after joining the Hemlock Woolly Adelgid Crew that the shady hemlock forests were a deceiving mirage as the back dunes might be steeper than the open shore line. In the future she plans to attend grad school and find employment that isn’t uphill both ways. Jon Gorter graduated from Calvin College with a bachelor’s in English and environmental studies. 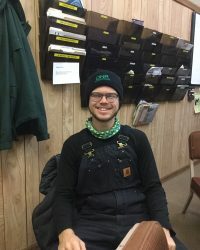 He is pursuing a career in outdoor education and conservation ecology, and he feels privileged to work with hemlocks along Michigan’s beautiful west coast. Nick Zoller received a B.A. in Biology with a concentration in ecology at Northern Michigan University. Areas of interest include Entomology, Mycology, and Wetland Ecology. Nick joined the HWA Crew in June 2018. 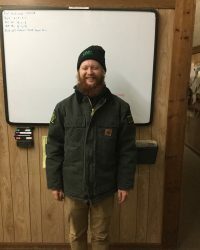 Ryan Hartman joined the MCCC Hemlock Woolly Adelgid crew in August. 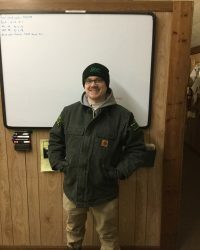 A 2016 graduate from Grand Valley State University, Ryan came to the stewardship unit from a background in wildlife biology. 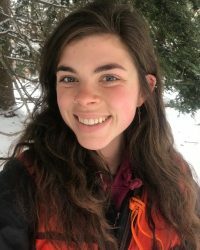 Meg Reesor joined the Hemlock Woolly Adelgid crew in August of 2018. Before joining the crew, she graduated from Michigan State University with a B.S. in Environmental Geography, with minors in Environmental Sustainability and in Geographic Information Science. She hopes to continue working in the field of environmental conservation using her skills in GIS to portray environmental issues and find solutions.